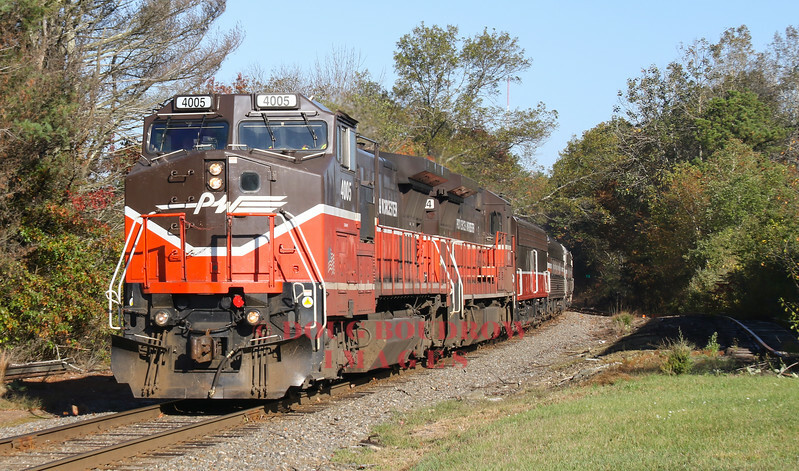 On October 28th, 2017 the Mass Bay Rail Enthusiasts chartered a day long passenger excursion from Worcester, MA using Providence & Worcester locomotives 4005, 4004 and their office car train to Old Saybrook, CT. Since Gennesse & Wyoming has bought the P&W the days of the orange and brown diesels are limited as the G&W paint scheme is being applied to all of their locomotives. At Old Saybrook the Valley Railroad picked up the train from the Providence & Worcester power and brought the train all the way up their operable track to Haddam using their New Haven replica Mikado #3025. After the return trip to Old Saybrook the P&W power brought the train home to Worcester.